(Kim says ‘Welcome aboard’ to Keith – a highly experienced and very well respected motoring writer – as a new contributor to ‘Wheels-Alive’). The name may be a trifle nudge-nudge over-clever, but you can see the thinking behind it. 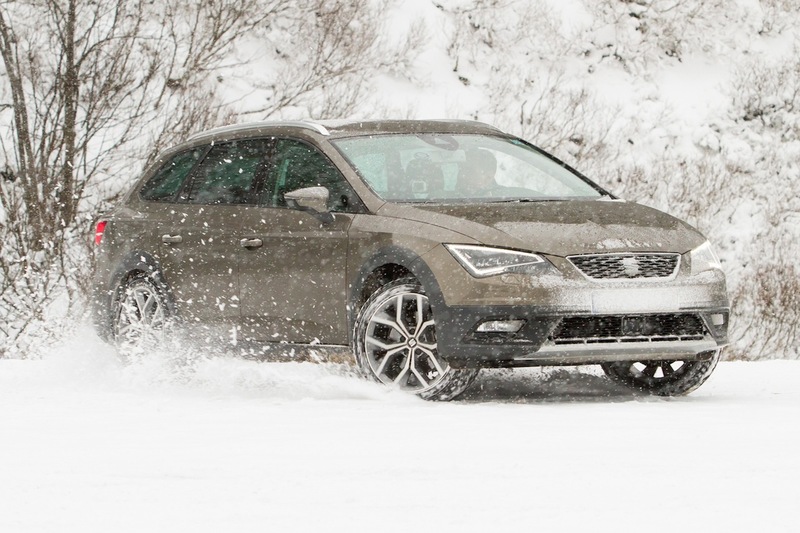 This SEAT Leon X-PERIENCE is actually based on the Spanish maker’s popular ST estate car but distinguished by electronically-controlled permanent four-wheel drive, with extra appeal for winter motoring. It also boasts an uprated all-road suspension with around three centimetres (just over an inch) additional ground clearance as well as distinctive styling features inside and out. As a bonus, while the two power units offered are both diesel – a turbocharged 2.0-litre tuned to either 150 or 184 PS – they comply with the latest Euro 6 standard in their emissions and are too recent to be involved in the test-cheating scandal hitting the VW group, to which SEAT belongs. The Golf-sized Leon has overtaken the Ibiza as SEAT’s best-selling model and the five door estate has played its part in that success alongside the five door hatch and SC three door. The X-PERIENCE completes and tops the Leon range. External features include protection mouldings on the door sills and wheel arches, plus big air intakes and integrated fog lamps to go with the bright front spoiler and, at the rear, a new-look bumper with twin exhaust tailpipes. The roof rails are anodised in black. An X-PERIENCE logo adorns the aluminium door sills and leather-shod steering wheel. So smooth in profile, the Leon estate, even in X-PERIENCE garb, does not look at first glance ready to dish the dirt as a serious off-roader, but it is easy to accept that 4WD gives it an extra assurance. And from the load-lugging point of view it offers one of the largest boots in this sector at 587 litres (20.7 cu.ft) when all seats are in use, although scoring not so highly – at 1,470 litres (51.9 cu.ft) when the rear seatbacks are sloped down onto the fixed rear bench. Also, the rear edge of the boot floor curves into the tailgate in a bay shape rather than being squared off to maximise space. Nevertheless, it will take items well over five feet (1.5 metres) long. There is, too, an optional fold-down front passenger seat. 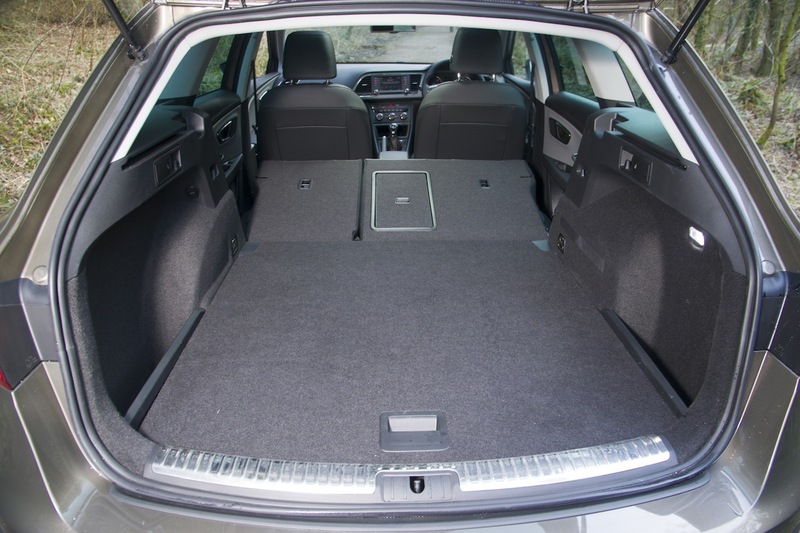 Other worthy features include provision for storing the retractable luggage cover, a low and chromed rear sill over which to slide heavy cargo, a ski hatch through the rear seat into the cabin as well as roof rails and a boot floor you can set at two levels, though the process can be fiddly. It is flanked by two deep storage pockets in the rear wings. A divider net is a £155 option. 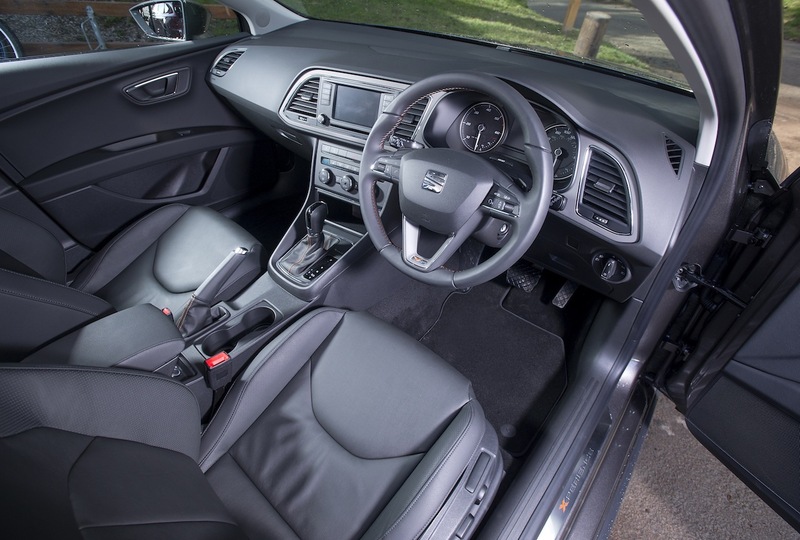 For storage around the cabin there’s a deep glovebox, fair door pockets, a non-slip shelf ahead of the gearshift and a cubby box between the front seats. On the road, the estate drives with the refinement and comfort of a saloon. There are four selectable drive modes to govern throttle, steering and transmission response: eco, normal, sport and individual – to suit your mood. The 150 PS engine gave us more than 50 mpg. The front sports seats, in alcantara with leather bolsters in the top SE Technology trim we drove, proved extremely comfortable. The all-wheel-drive uses the latest fifth-generation Haldex coupling, lighter and more compact and sited ahead of the rear wheel differential. It is claimed to react extremely quickly to all driving conditions, thus delivering a boost to active safety and performance. Normally, the coupling transmits all of the power from the engine to the front wheels. Should there be a loss of traction, torque is automatically diverted to the rear. Also, it does not incorporate the boon of a reversing camera. Adaptive cruise control (a £515 option) was welcome on long and traffic-strewn motorway journeys. It maintains a set speed, as well as a pre-determined distance to the vehicle in front, automatically braking and accelerating as required in moving traffic. An upgraded 10-speaker sound system at £260 no doubt played part in suppressing some of the road noise at high speeds from the big tyres on their 18-inch rims. I did have one unwelcome ex-perience with the SEAT. A week after calling for afternoon tea at a hotel in the Welsh Borders, I found one of those sneaky £100 parking charges in the post for the 30 minutes the car was (legitimately) on their premises. On appeal, it was quashed. But, all in all, the X-PERIENCE was a good one. Body: 5 door estate; length 4,543 mm (14.9 ft); width 1,816 mm (6.0 ft); kerb weight 1,484 kg (3272 lb). Boot: Length 970 to 1,570 mm (3.2 to 5.2 ft); width 1,000 mm (3.3 ft); volume 587 to 1,470 litres (20.7 to 51.9 cu.ft). Engine: Turbocharged Diesel; 1,968 cc; 4 cyl; EU6. Transmission: 6 speed; permanent 4WD. Power: 150 PS @ 3,500-4,000 rpm; torque 250 lb.ft @ 1,750–3,000 rpm. MPG: On test 50.7 mpg; official Combined 57.6 mpg. Emissions and taxation: CO2 129 g/km; VED Band D; Nil then £110 p.a. ; tax liability 23%. Tyres: 225/45 R18 Goodyear Efficient Grip. Warranty: 36 months/60,000 miles; 3 years paint; 12 years body; 24 months Europe-wide breakdown.